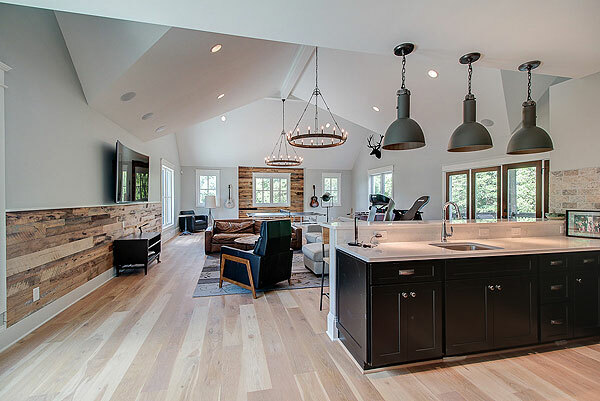 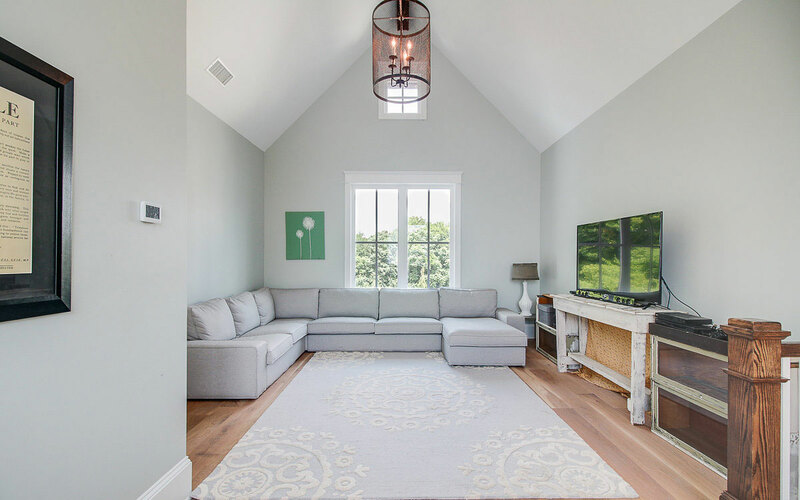 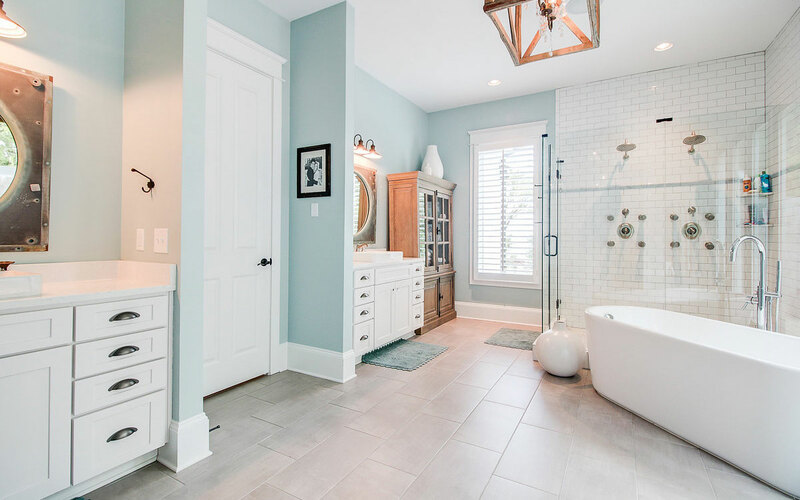 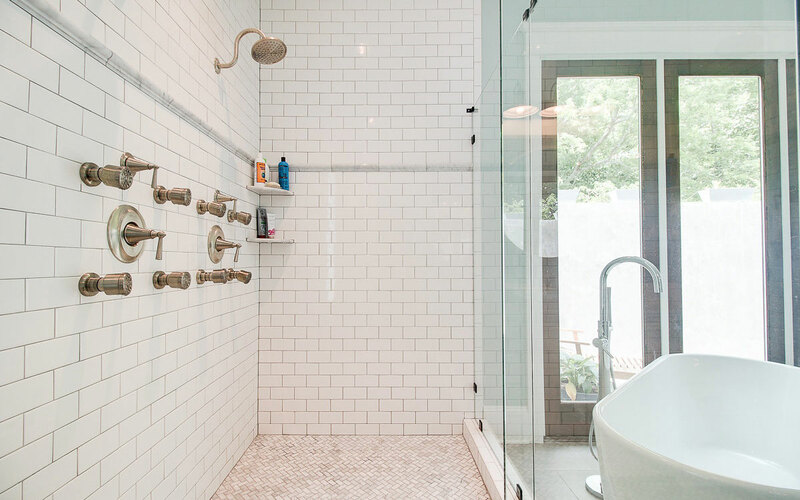 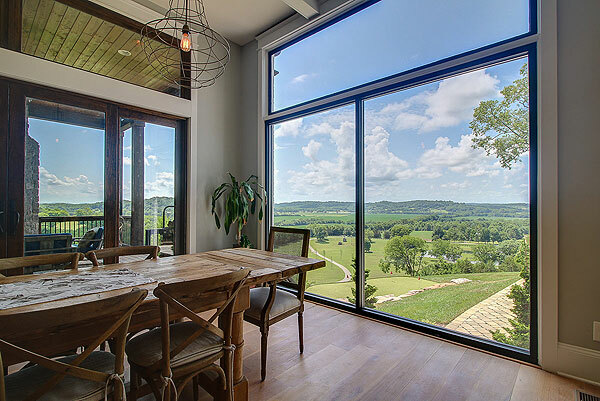 This gorgeous, custom-built modern farmhouse features spectacular views and luxury amenities – all situated on 20± acres with privacy and seclusion. 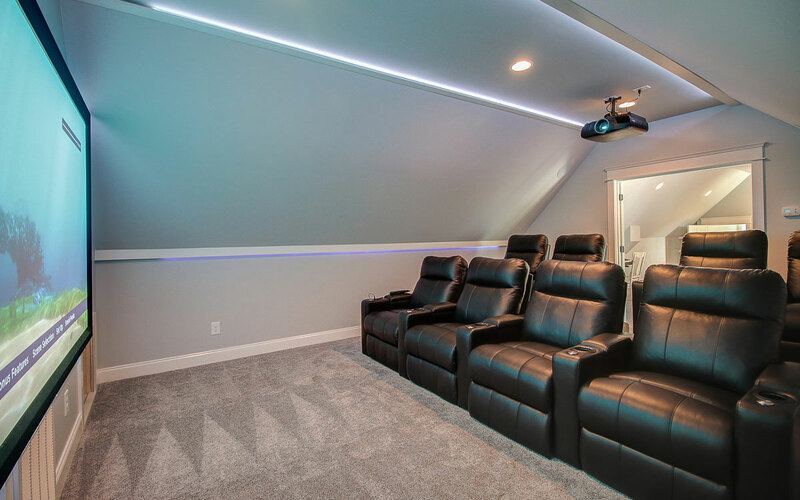 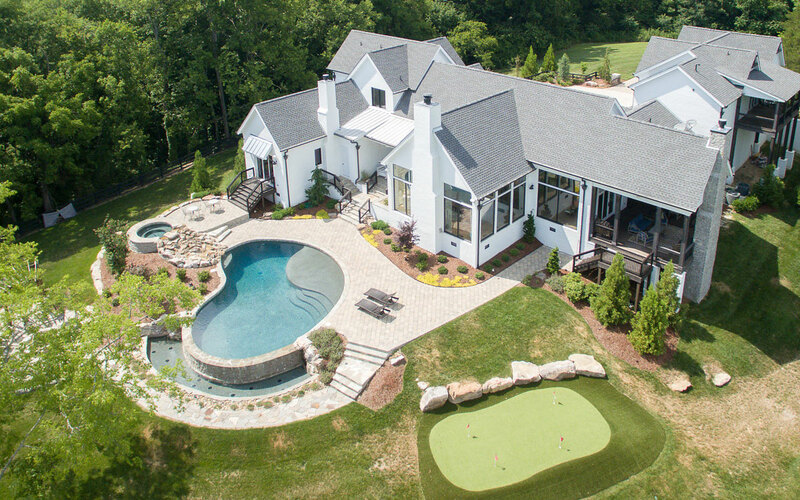 Featuring a movie theater room, pool with entertaining area, basketball court, putting green, equestrian potential and more – this property has it all! 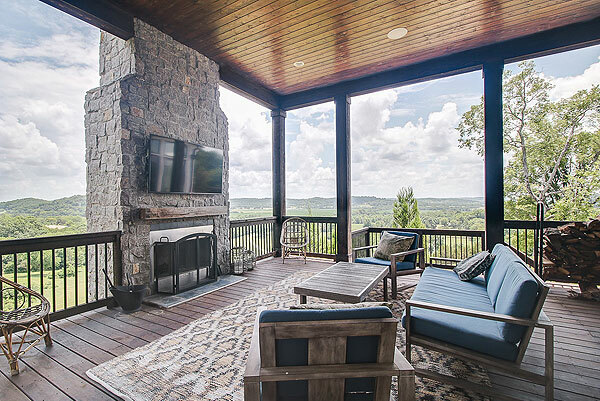 This could be the Middle Tennessee retreat you’ve been dreaming of, if you want to be in a peaceful area but still within 15 minutes to downtown Franklin. 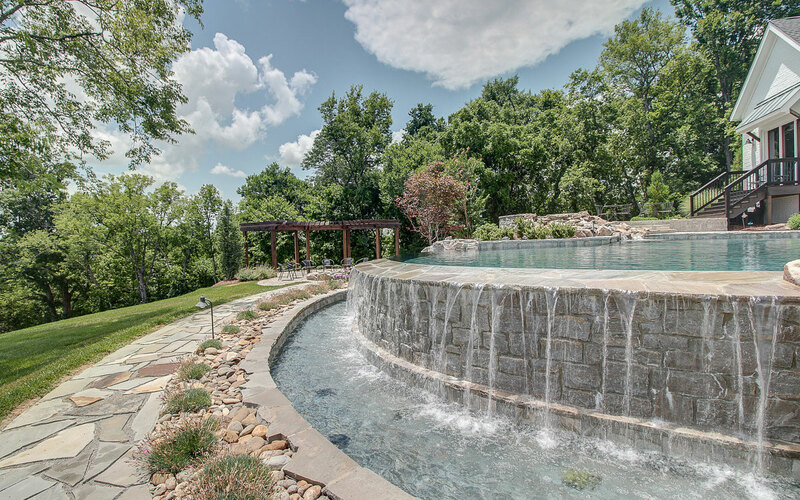 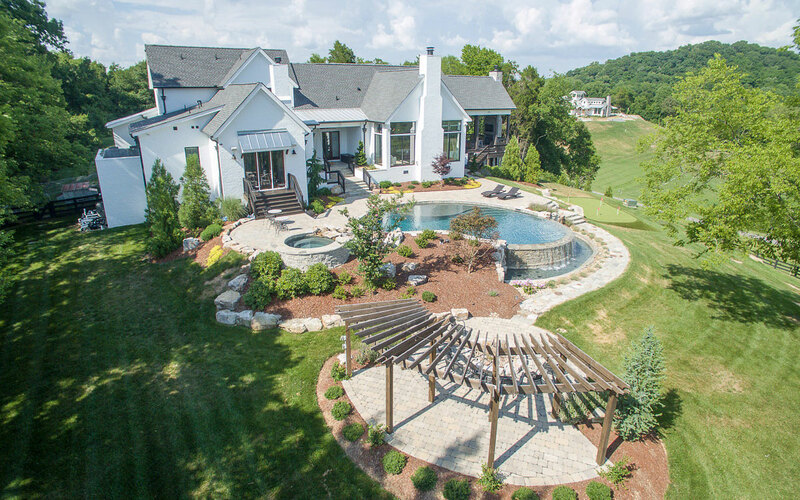 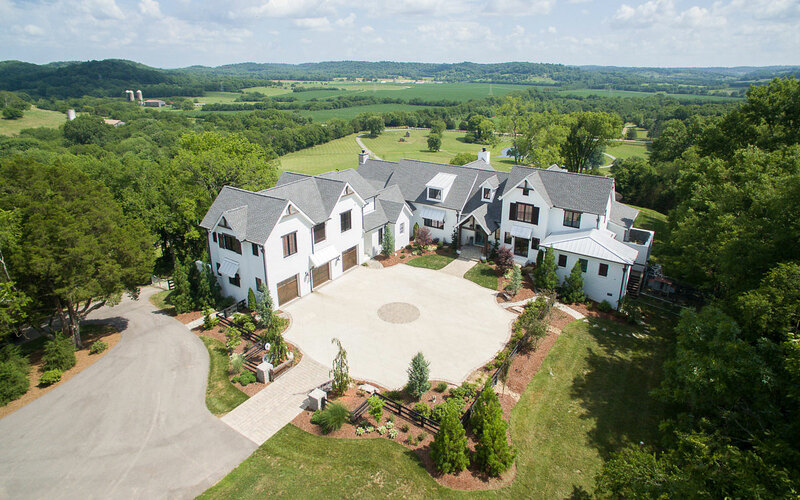 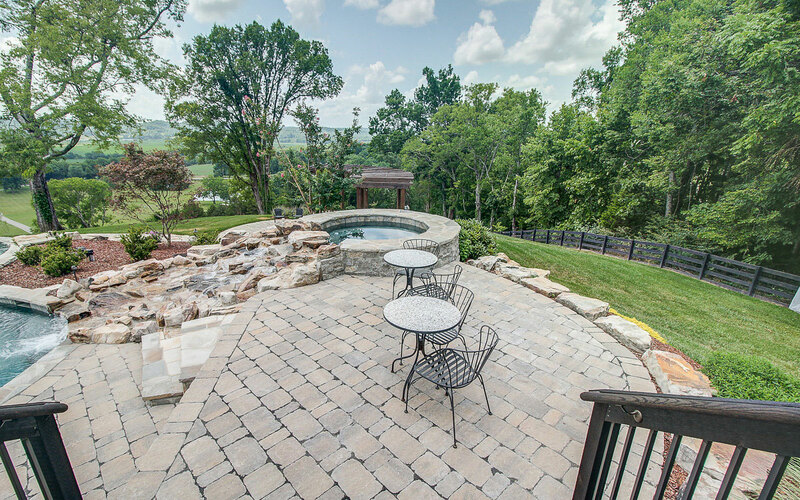 The Middle Tennessee farmhouse boasts ample entertaining and living space with custom detailing and impressive views. 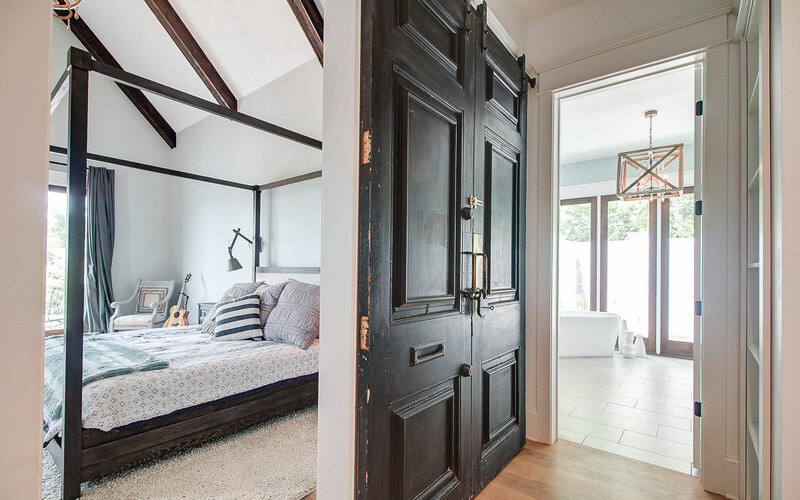 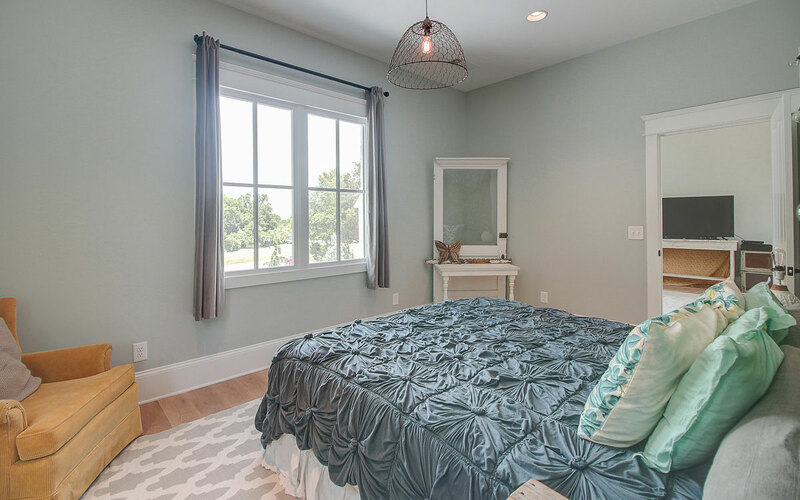 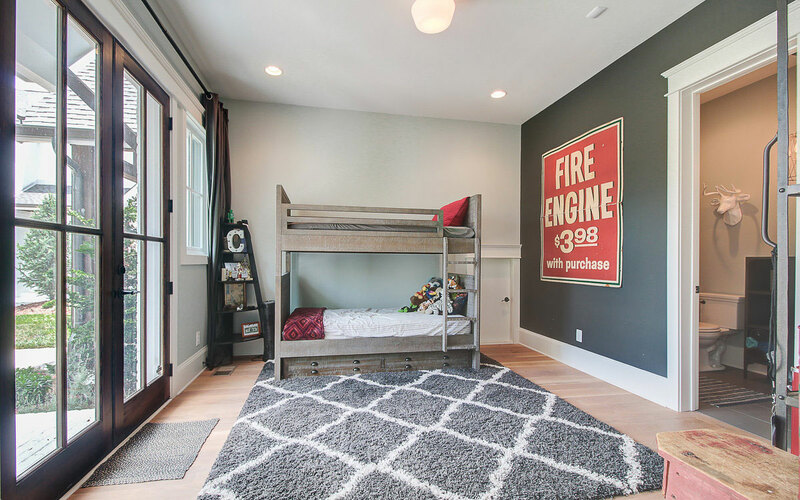 Each bedroom features French doors that that open to their own porch or deck. 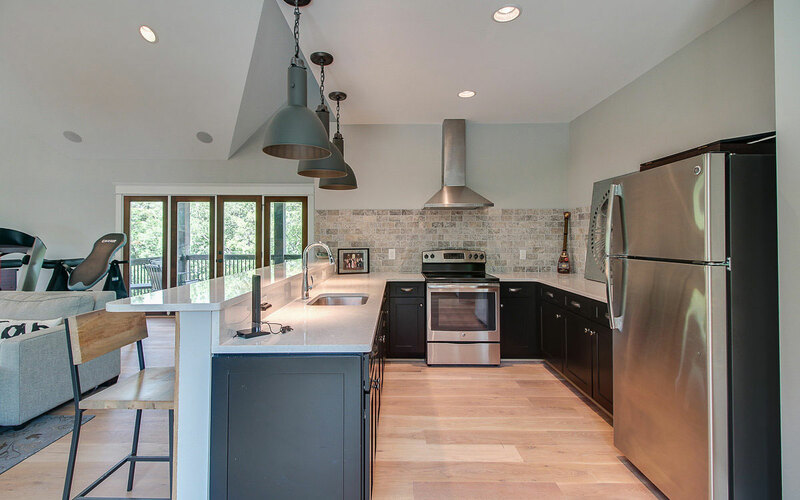 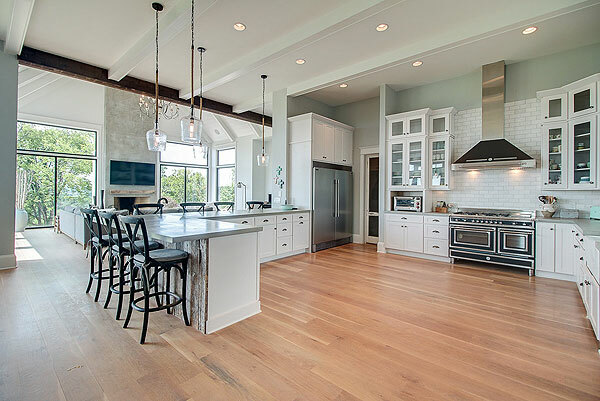 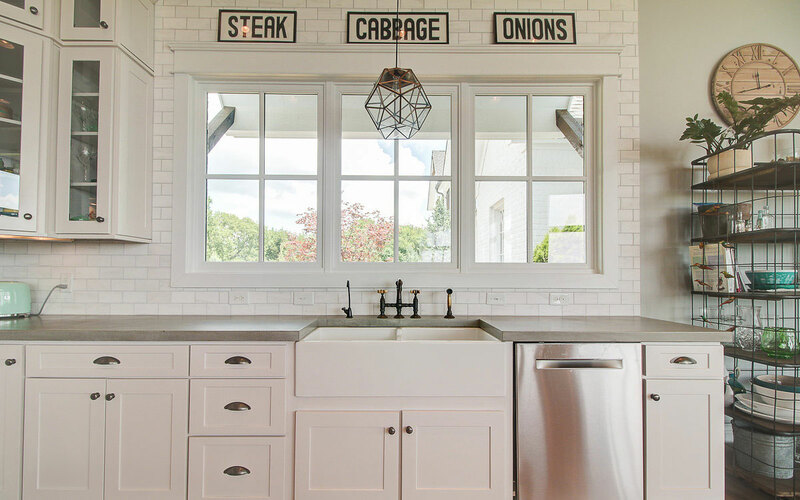 The gourmet kitchen is an entertainer’s dream with an Italian chef stove, farmhouse sink and custom concrete countertops – perfect for beginning bakers or talented chefs. 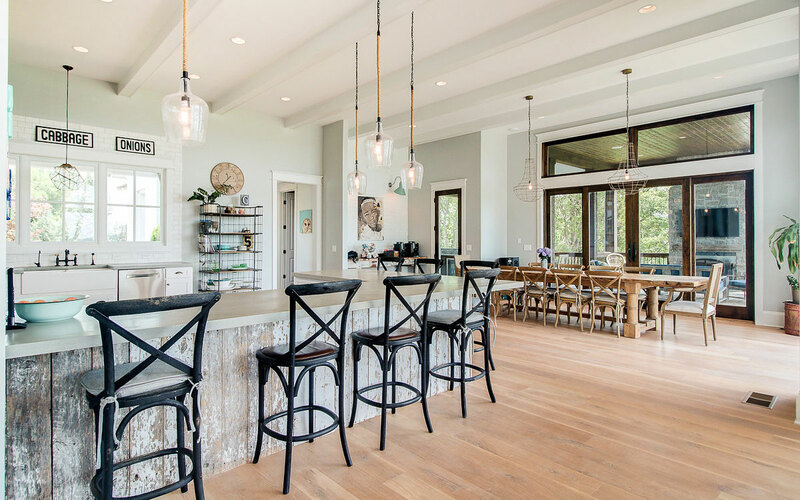 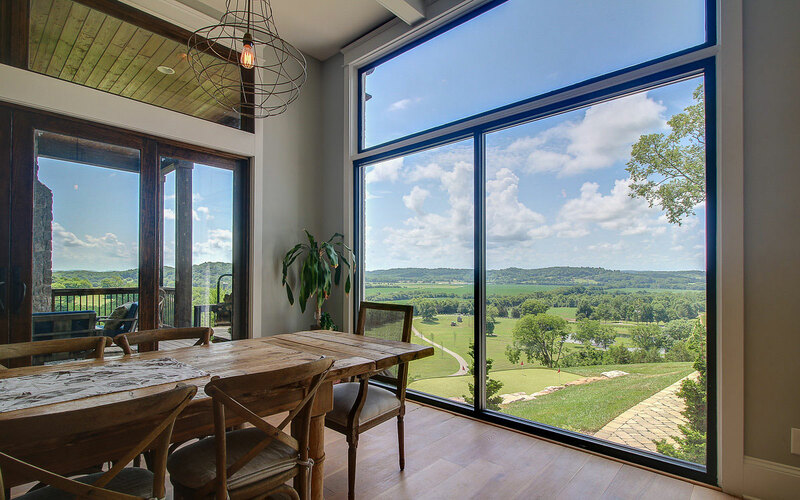 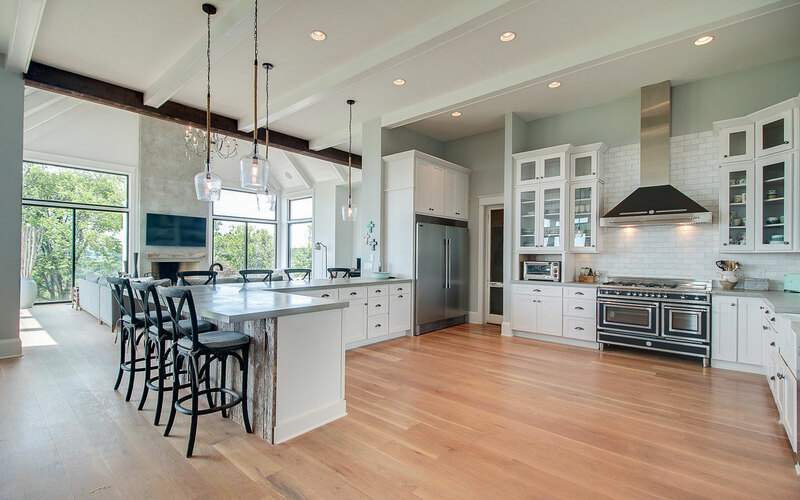 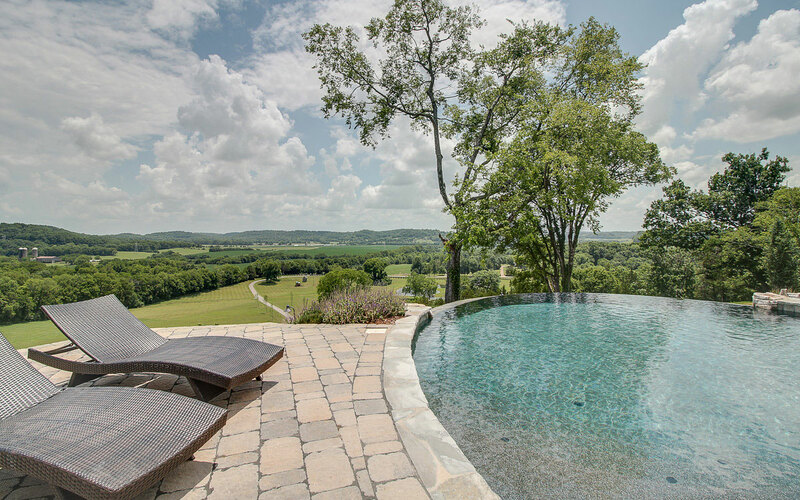 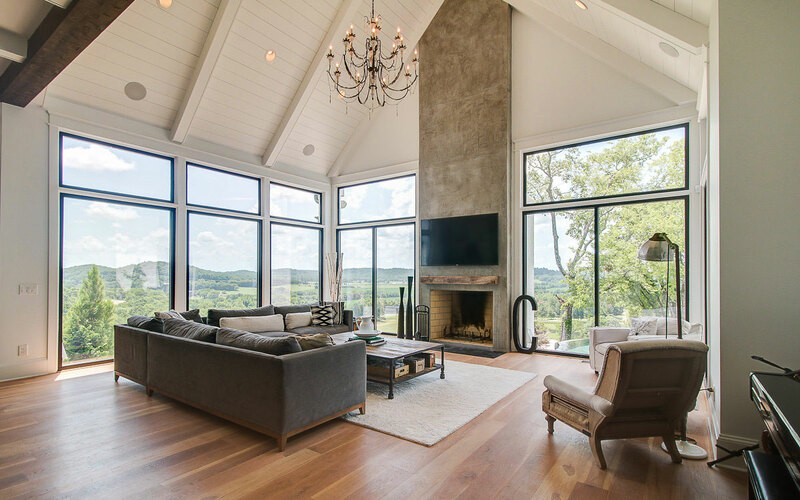 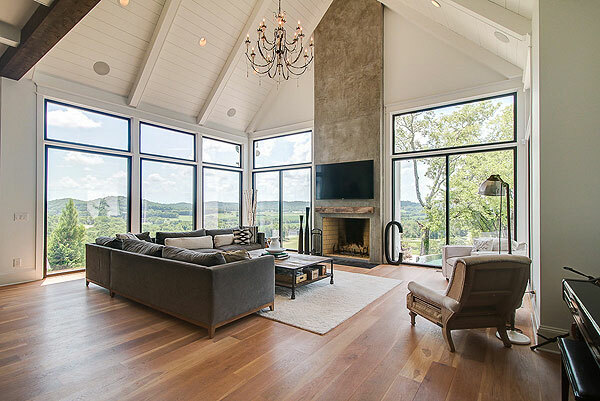 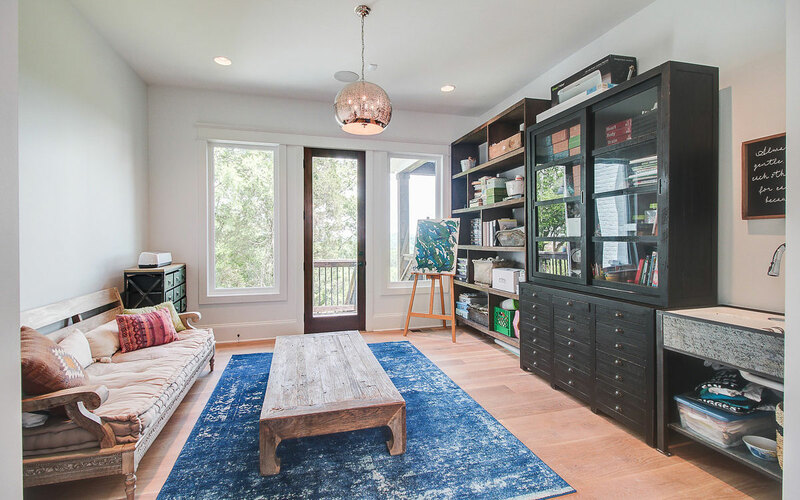 Around the kitchen, living area and throughout are numerous windows, each offering stunning views of the beautiful Williamson County landscape – as far as the eye can see. 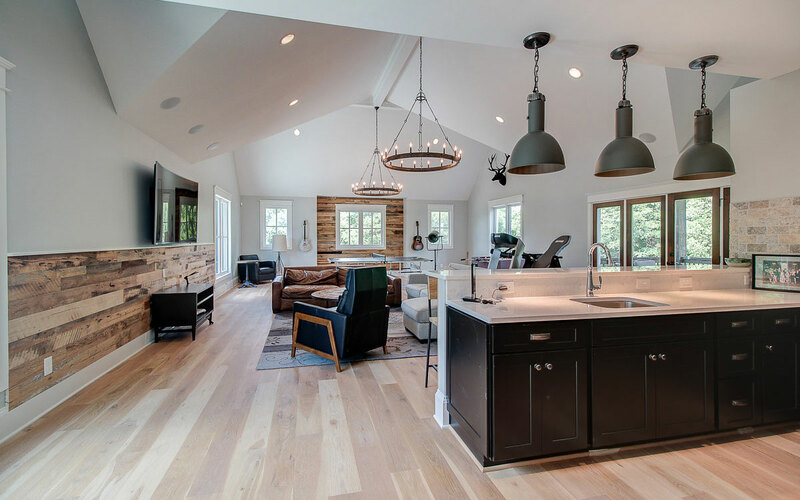 If the kitchen and views weren’t enough to impress – this home contains beautiful white oak wood floors throughout, a movie theater room, a laundry room with enough room for storage and lots of rooms for entertaining! 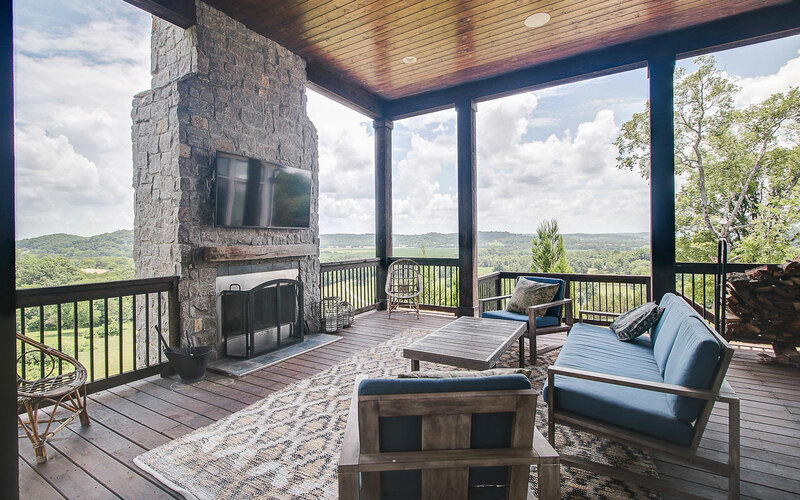 The covered porch is also great for guests, no matter the weather. 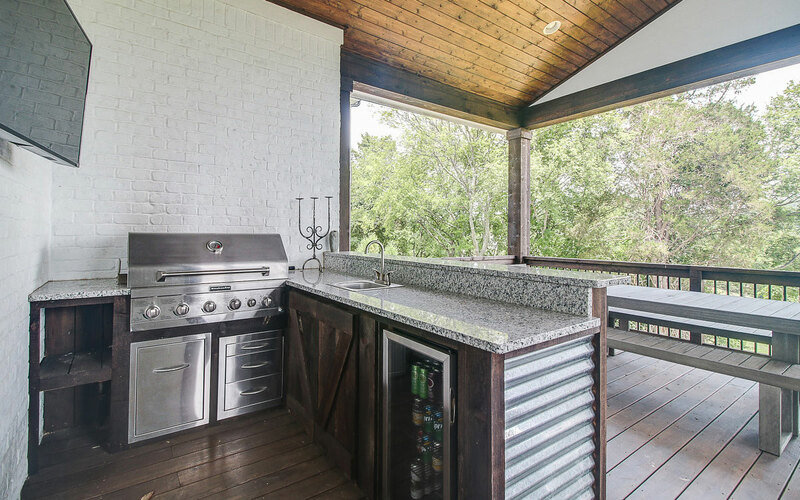 There’s even a fireplace for cooler evenings. 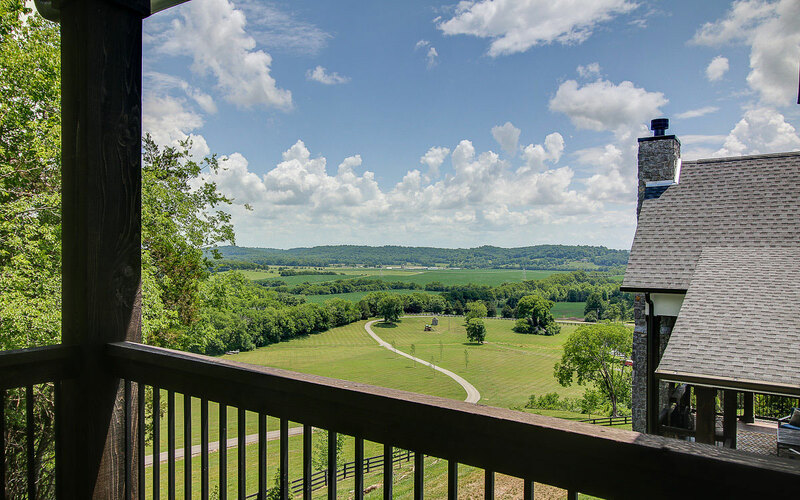 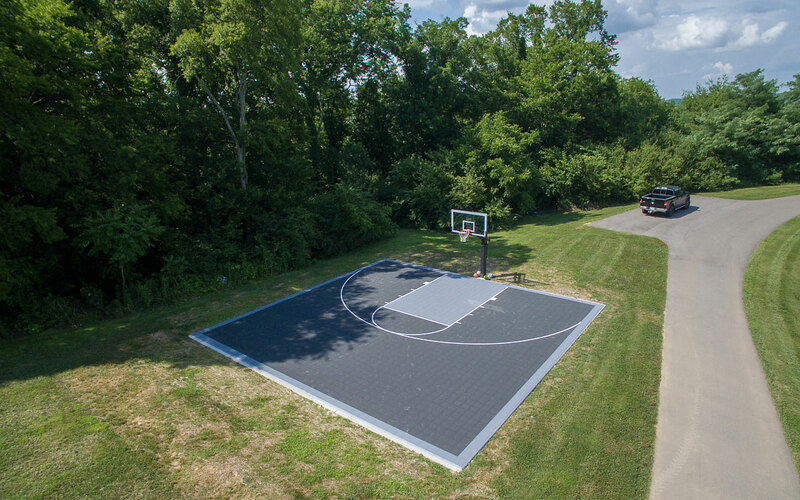 Situated on 20± acres of private, rolling hills in Middle Tennessee, this tranquil location offers a peaceful country setting with urban amenities just a short drive away. 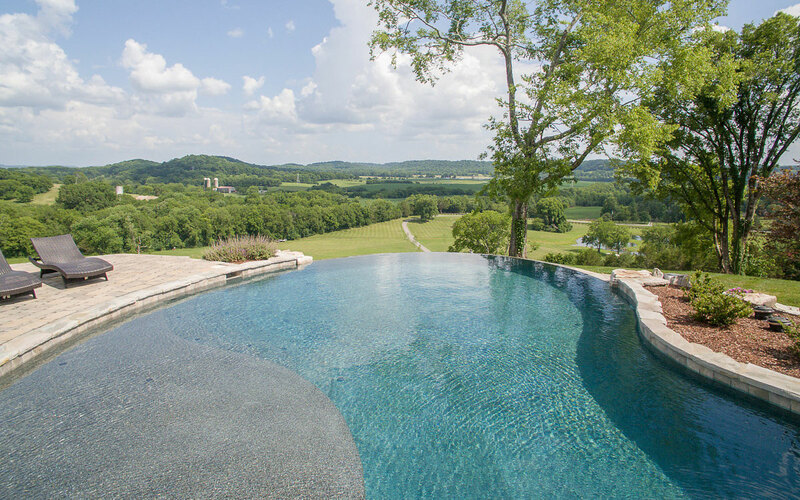 An ideal location provides breathtaking views both day and night. 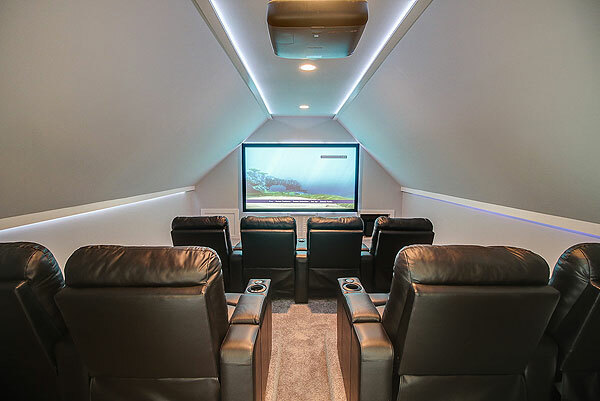 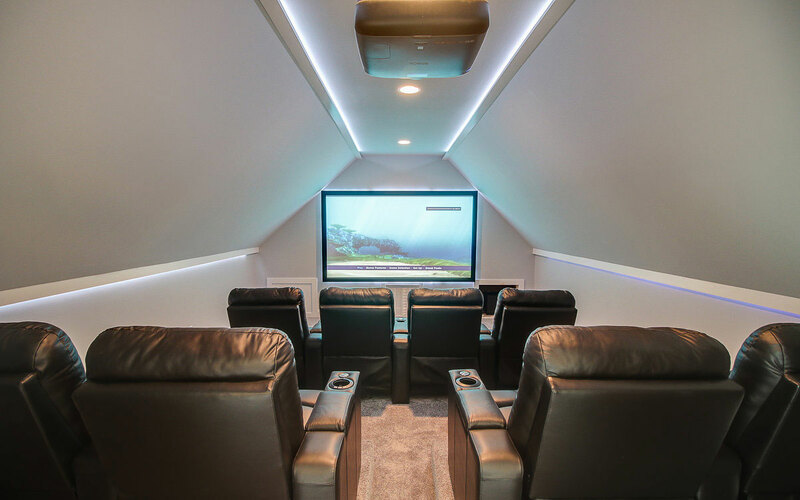 The property was built for privacy, with features meant to entertain or to simply relax and enjoy. 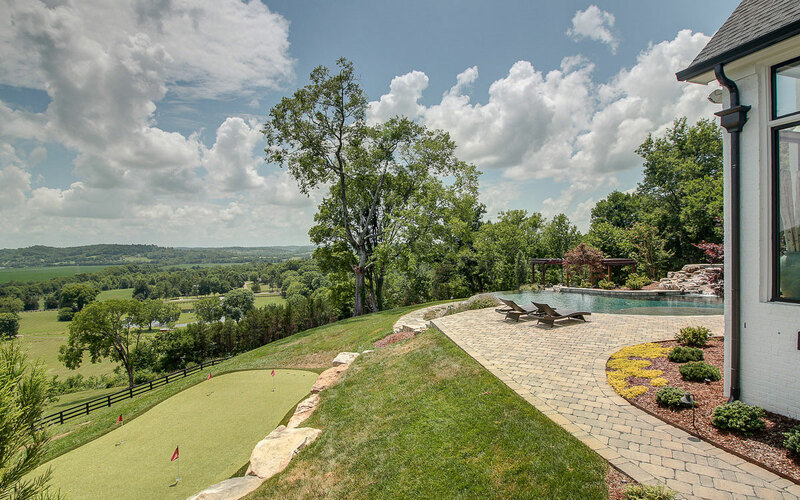 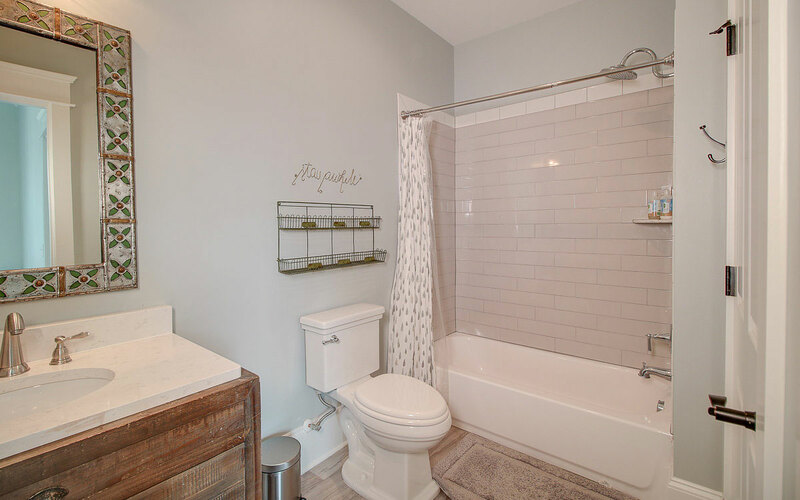 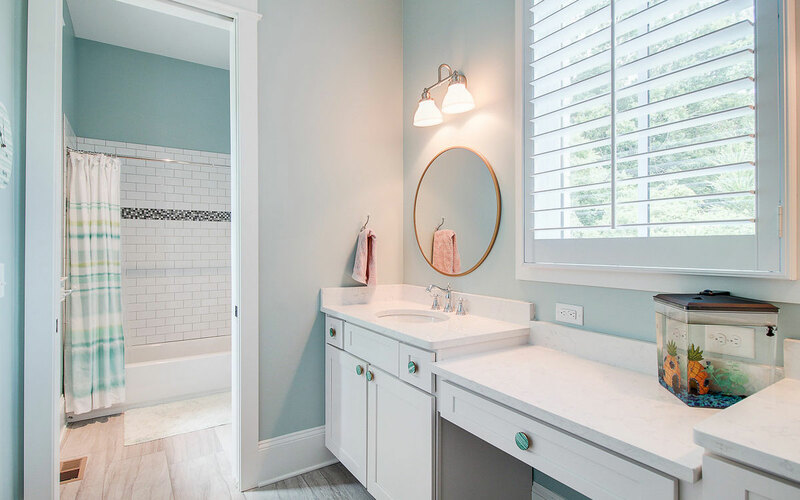 Located south of Nashville in Williamson County, Franklin is home to major corporate headquarters, historical attractions, a lively music scene, an abundance of shopping and plenty of parks. 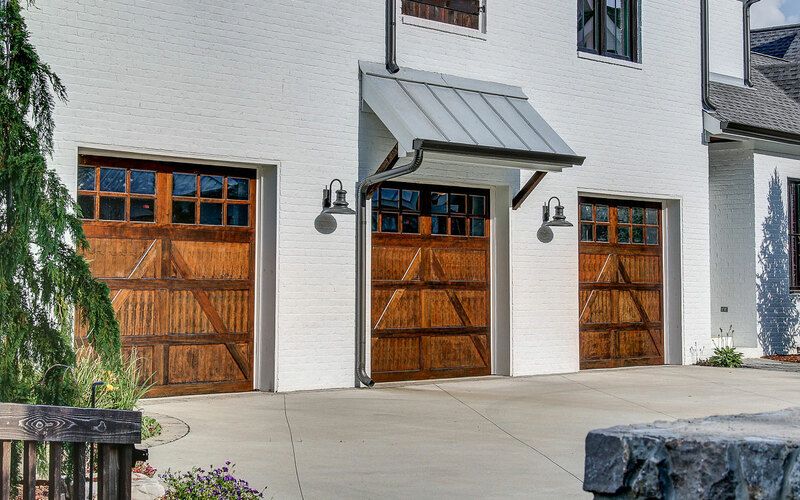 The Downtown Franklin Historic District was named one of the Top 10 Great Neighborhoods by the American Preservation Association’s Great Places in America program. 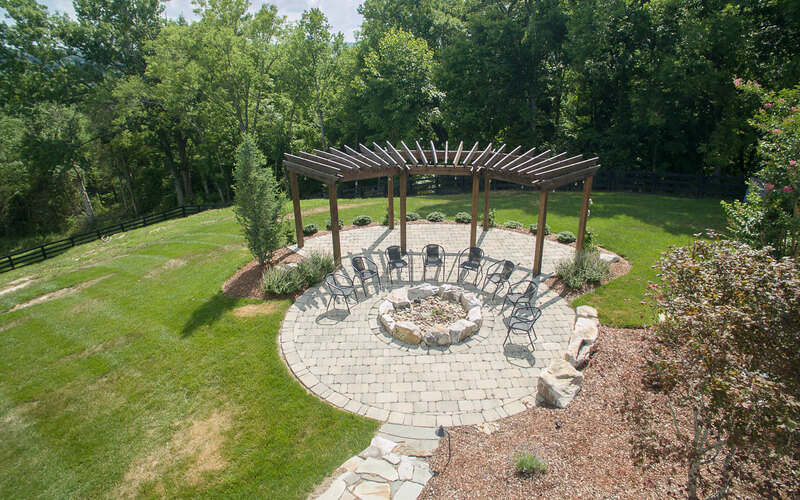 Also known for quality schools, Franklin students routinely achieve some of the top test scores in the state. 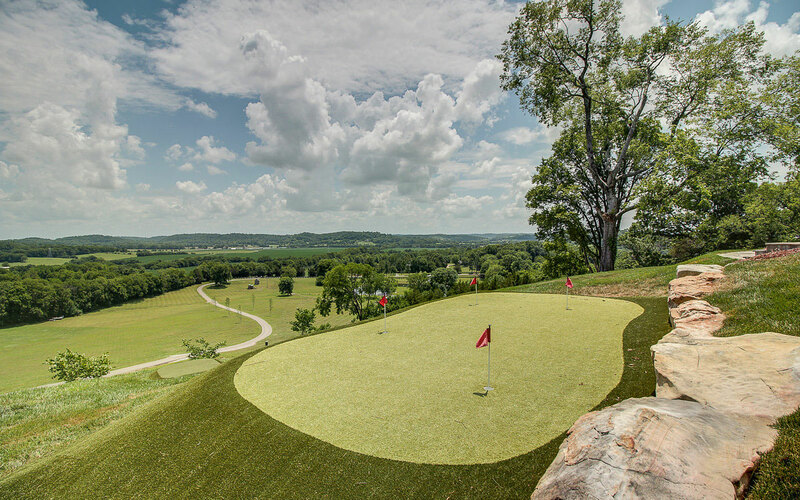 Learn more about Franklin, TN. 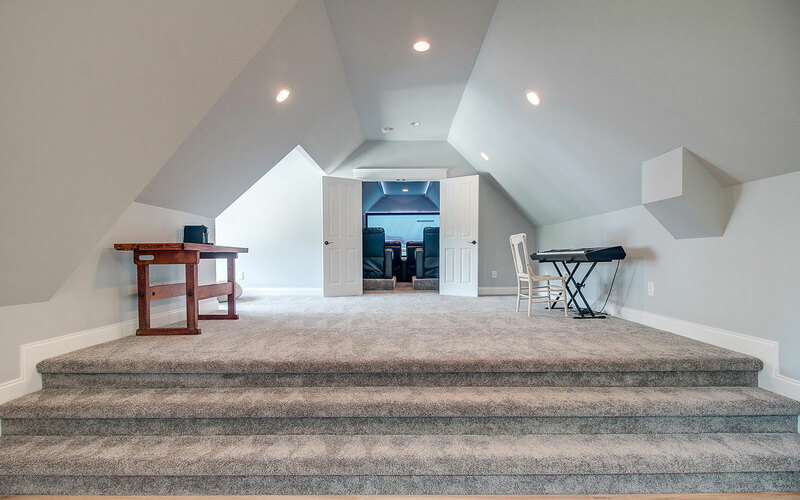 Franchise office is independently owned and operated.